The hilarious and poignant account of how one woman found her comedic voice. Growing up in the Midwest, the youngest child of Catholic parents, Lizz Winstead learned early that the straightforward questions she posed to various authority figures around her—her parents, her parish priest, even an anti-abortion counselor—prompted many startled looks and uncomfortable silences, but few plausible answers. Her questions rattled adults because they exposed the inconsistencies and hypocrisies in the people and institutions she confronted. Yet she didn’t let that deter her. 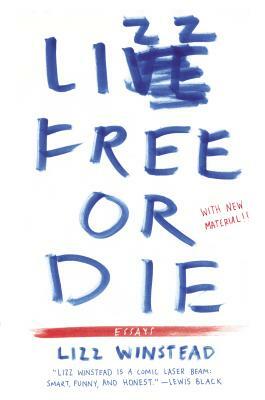 In Lizz Free or Die, Winstead vividly recounts how she fought to find her own voice, both as a comedian and as a woman, and how humor became her most powerful weapon in confronting life’s challenges. Uproarious and surprising, honest and poignant, this no-holds-barred collection of autobiographical essays gives an in-depth look into the life and creativity of one of today’s most influential comic voices. In writing about her naive longing to be a priest, her role in developing The Daily Show, and her often problematic habit of diving into everything headfirst, asking questions later (resulting in multiple rescue-dog adoptions and travel disasters), Lizz Winstead has tapped an outrageous and heartfelt vein of the all-too-human comedy. Lizz Winstead is co-creator and former head writer of The Daily Show and one of the founders of Air America Radio. A performer and stand-up comedian, she frequently appears on MSNBC, CNN, and Comedy Central. She lives in Brooklyn. Learn more at www.lizzwinstead.com or follow her on twitter @lizzwinstead.